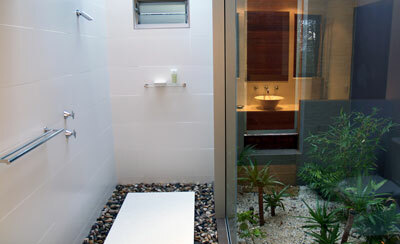 Ever taken a shower outside? 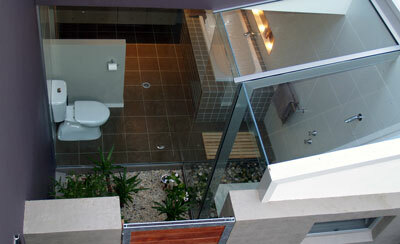 Stepping over rounded river pebbles onto the granite platform, you are surrounded by blue skies and garden. 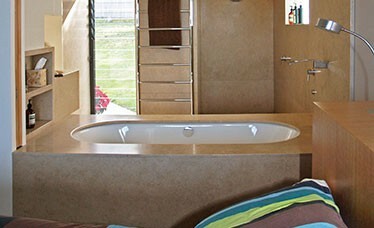 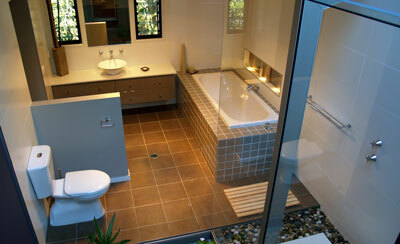 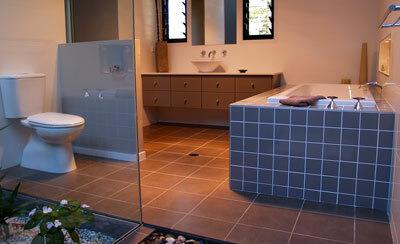 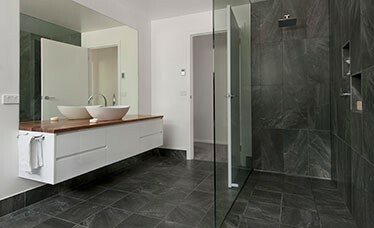 Large panels of clear glass ensure the bathroom is always filled with natural daylight. 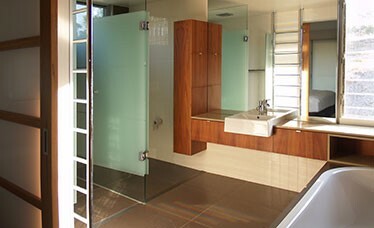 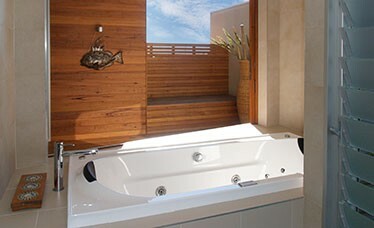 The inspiration behind this intriguing bathroom lies behind a trip to Bali.